Well positioned in a quiet location, Soi Chalermprakiat 33, amidst the bustle of Central and South Pattaya, Golden Sea Pattaya Hotel offers guests a great and affordable accommodation to explore Pattaya City with only minutes away from the most famous and attractive tourist places and activities: Ripley’s Believe It or Not Museum, Walking Street, Central Festival Pattaya, Tiffany’s Show, Alcazar, Thepprasit Night Market and more. 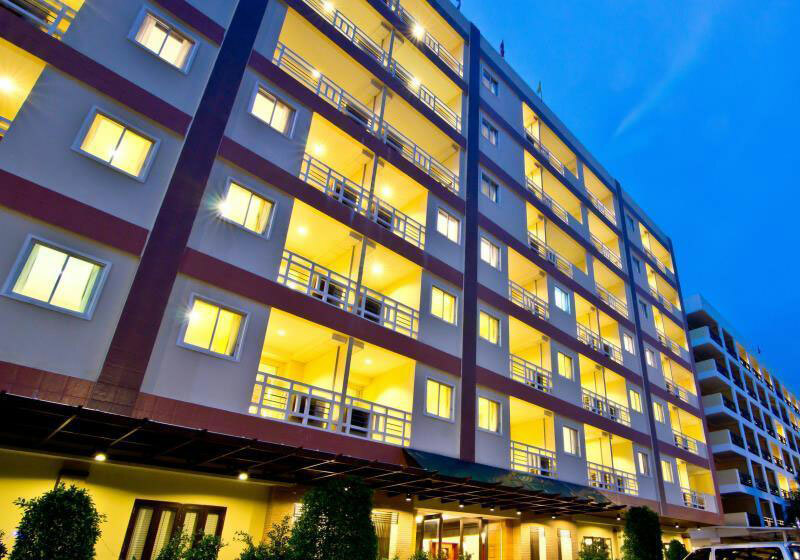 The hotel is also easily accessed to Pattaya 2nd Rd. through Soi Kasemsuvarn 13 (Buakao). A few steps to venture out to the lively city that has offered, for instance, restaurants, massage, shopping centers, clubs, bars, pharmacies and travel agents are just easy and convenient. Short Description: Golden Sea Pattaya Hotel offers guests a great and affordable accommodation to explore Pattaya City with only minutes away from the most famous and attractive tourist places and activities: Ripley’s Believe It or Not Museum, Walking Street, Central Festival Pattaya, Tiffany’s Show, Alcazar, Thepprasit Night Market and more.